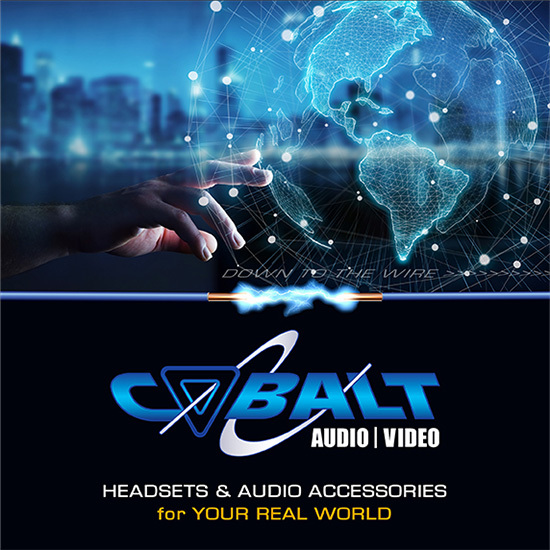 Cobalt Audio Video, the radio accessories division of ComtronICS Inc, believes in putting our customers’ experience above everything else. We take your electronic privacy issues seriously. We do not share any personally identifiable information without your explicit approval, and we do not send you email without your approval. Our website uses Secure Sockets Layering (SSL) to encrypt your personal credit information, including your credit card number, before it is transmitted over the Web. SSL technology is the industry standard for secure online transactions. If you’re happy with the contact, content, and offers you receive from us, there is no action required on your part, and it is not necessary to change the way you use our website or services. We receive, collect and store any information you enter on our website or provide to us in any other way. In addition, we collect the Internet protocol (IP) address used to connect your computer to the Internet; login; e-mail address; password; computer and connection information and purchase history. We may use software tools to measure and collect session information, including page response times, length of visits to certain pages, page interaction information, and methods used to browse away from the page. We also collect personally identifiable information (including name, email, password, communications), comments, feedback, product reviews, recommendations, and personal profile. When you conduct a transaction on our website, as part of the process, we collect the personal information you give us such as your name, address and email address. Your personal information will be used only for the specific reasons stated above. How do we store, use, share and disclose site visitors’ personal information? Cobalt Audio Video’s website is hosted on the zimcom.net platform. Zimcom provides us with a secure online platform which allows us to promote our products and services to you. Your data may be stored through Zimcom’s data storage, databases and the general zimcom.net applications. Zimcom stores your data on their managed ESP Website Security Platform. We may contact you to notify you regarding your account, to troubleshoot problems with your account, to resolve a dispute, to poll your opinions through surveys or questionnaires, to send updates about our company, or as otherwise necessary to contact you to enforce our User Agreement, applicable national laws, and any agreement we may have with you. For these purposes we may contact you via email, telephone, text messages, and postal mail. Our site uses Google Analytics, a standard website analytics service which measures the traffic and visitors’ general details of our site. Collecting these statistics allows us to make our visitors’ experience better (e.g. which pages they visit and when, where they are approximately located, where does a user land first or if they are coming from a specific referral). Basically, as a website owner using Google Analytics, we are using cookies to enhance your experience of our website, to display customized content in accordance with your browser settings, to collect data about visitors’ page visits, bounce rate, conversions, popular content on the website, device type and screen size, approximate location, browser, OS, and IPs. All this data is pseudonymized and Google Analytics will never use the collected data to identify individual users or to match it with additional information on an individual user. Each visitor has control over the cookies placement. We encourage users of our websites to comment, complain, make suggestions, and ask questions. We’ll need your full name and email address on any correspondence so that we can respond in a timely manner when required. We do not share or sell this information with any third parties, it is not used for any purpose beyond answering your correspondence. How can visitors withdraw consent? Questions about your contact information? Thank you for being a part of our Cobalt Audio Video community. We look forward to continuing to be your favorite trusted source for your communication needs!